A bill pending in Ontario’s legislature may give landlords there a benefit that has been sorely lacking — the right to collect a damage deposit from tenants. If this bill passes, what would it mean for landlords? On the part of tenants, that is. Under the current Act, tenants are not required to pay a deposit to guarantee they will return the rental property in good condition. And too many times, tenants don’t return the property in good condition. A landlord could spent weeks, if not months, chasing after a tenant who causes damage. But put that deposit money on the line, and tenants have no choice but to meet their responsibilities under the tenancy agreement. A damage deposit not only offers leverage when it comes to cleaning a unit thoroughly and repairing any damage, it also provided landlords with an immediate source to pay for those repairs if the tenant does not. No more waiting for a hearing or shelling out fees. The deposit cannot be applied to “ordinary wear and tear”, a phrase that the government will define in more detail later. Landlords will have to change their leasing checklists to include a requirement that they disclose information about the damage deposit before entering into a tenancy agreement. The landlord and the tenant will have to agree in writing as to the rental unit’s condition on the day that the tenancy begins. The maximum amount that can be charged for a damage deposit under the current version of the bill is 25 per cent of one month’s rent. The funds will need to be placed in an interest-bearing account, and the accrued interest must be paid to the tenant annually if still residing in the property. The balance of the deposit, and any remaining interest, must be returned to the tenant no later than 15 days after a tenancy terminates. 1. A copy of the written agreement concerning the condition of the rental unit before the tenancy began. 2. Any receipts, estimates or any other information describing the costs that the landlord has incurred or will incur for the repair of or, where repairing is not reasonable, the replacement of damaged property. 3. Any photos of the damaged property. 4. An inspection report, if any, indicating the rental unit’s condition before the tenancy began. The Ontario Landlords Association is encouraging Ontario landlords to weigh in and support this measure so it becomes law. For more on what you can do to make a difference, contact the Ontario Landlords Association. Thanks for the information. This is the first I hear of this. I will write to my MPP to make sure they understand just how crucial it is that such a measure pass. About time I think! 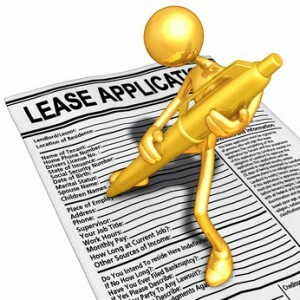 The current law is severely stacked against the small landlord. If passed, this bill will help but there is still a long way to go before the legislation is fair to both landlords & tenants. In order to write to my MPP, I need the Bill number and when it will be heard. It’s Bill 145, introduced by Joyce Savoline, MPP. Sorry, but we don’t have a date for when it will be heard — passed first reading in December. Thank you for this article. This is the first I’ve heard of this and will definitely look into it.